Apple and Samsung tend to dominate the smartphone market at least in the western world. Through their big marketing budgets and carrier paid subsidies they have over 70% market share, but that does that mean they make the best phones? I don’t think so at all. While Apple is the only manufacturer to make iOS phones, there are lots of choices when it comes to Android. The hardware options are quite numerous for Android and really depend on what features are most important to the end user. After having Samsung and Apple phones for years I was ready to try out something new. After a brief stint using a Nokia Lumia 1520 Windows Phone, I was explored some new options. The Lumia 1520 was an excellent phone with an amazing camera and great screen, but the Windows 10 Mobile operating system was quite flawed and the lack of apps made it intolerable. After doing a bunch of phone research and determining the most important features for my use I stumbled upon a little know Chinese brand Ulefone. 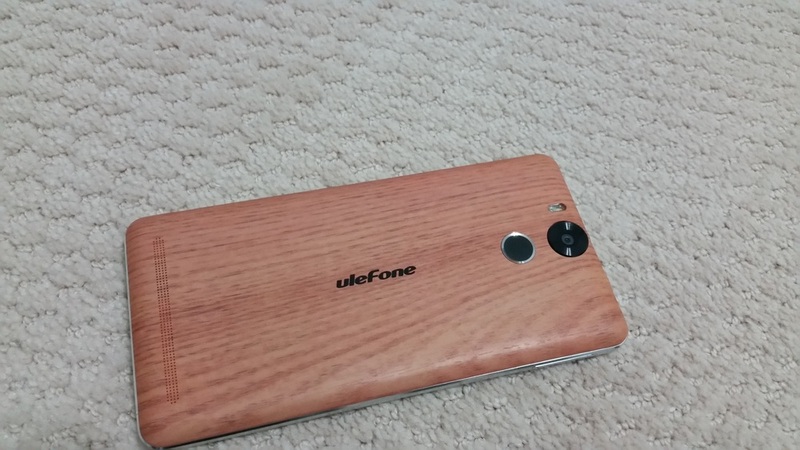 Ulefone has been making phones for others brands for several years. During the past year they have introduced their own line of phones and their latest offering intrigued me. Meet the Ulefone Power. The Ulefone Power is a beautiful phone that is incredibly nicely built. The phone has a 5.5” 1080P HD display featuring Corning® Gorilla® Glass 3 and curved glass. The Phone comes includes a stainless steel computer cut frame and three choices of back covers. 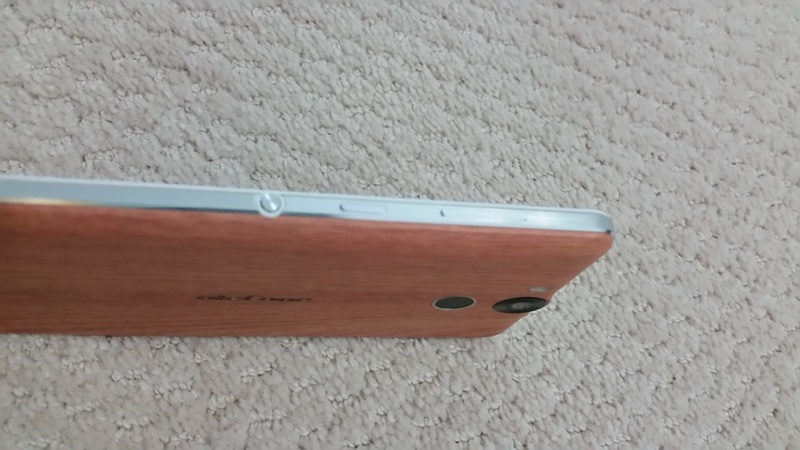 There is a graphite, white or wood back cover. The wood cover, while actually plastic feels and looks like real wood. It is excellent and really unique. The phone weighs in at 189g making it heavier than several other phones, yet not unmanageable and it feels great in the hand. The phone includes a really fast 64 bit MTK6753 Octa Core processor 3GB if Ram and 16GB of memory with expansion via SD card to 128GB. The performance is quite impressive for multitasking and gaming. The Ulefone Power currently runs a clean version of Android 5.1 Lollipop and Ulefone promises to soon release Android 6.0 Marshmallow via OTA update. Other great features include a rear mounted fingerprint scanner for unlocking the phone. I really like the rear placement of the fingerprint scanner and it works extremely quickly. The phone features dual cameras. The front facing selfie cam is a 5MP OmniVision camera and the rear camera is a Sony IMX214 13MP camera. I found the photo quality of both cameras to be excellent. Below are some sample photos from each camera. The phone comes packed in a very nice black box along with some great accessories. Premounted on the phone is a screen protector. The box includes a second screen protector, a pair of stereo headphones with microphone. They sound great. There is an OTG cable to plug in other devices or to use the phone as a charging dock, a gel cover and a quick charger with USB micro-cable. The phone charges extremely quickly as well. Some nice features not found in other phones include the three color programmable LED indicator on the front of the phone which can be used to indicate text messages, missed calls, low batter, emails and more. The inclusion of an FM radio receiver, multi-band GPS, Bluetooth 4.0 Hotknot sharing, a digital compass and a proximity sensor. The Ulefone Power includes a dual sim card tray which enables the phone to hold two sim cards simultaneously or one sim card and an SD card. I have chosen to use one of the sim slots for the SD card. Unfortunately in the USA, AT&T need additional bands that are not included, most notably Band 17 for 4G. Without that band I only receive 2G service. While phone calls and text work fine, data speeds are extremely slow. When on Wifi the phone works great and when traveling to almost any other country in the world the phone works great. In conclusion, the Ulefone Power is an amazing phone and at $149 USD it is a great deal, however if you plan to use the phone in the USA, you might want to pass on Ulefone until they decide to add support for USA bands. Ulefone has some other amazing phones coming out including the Vienna music focused phone and the Ulefone Future. I am very interested in the growing success of Ulefone and hope that they make a move into the US market to challenge Apple and Samsung with amazing hardware and software.